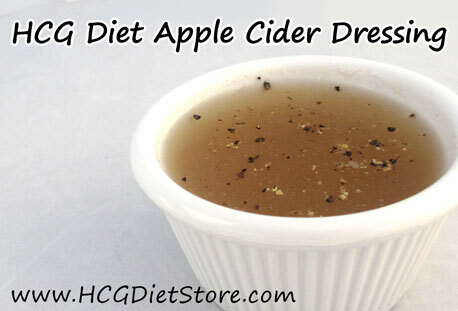 To make this dressing, mix the water and Apple Cider Vinegar together. Add in the stevia, salt and pepper. To create a stronger, more vinegary taste, switch the ratios (2/3 c vinegar and 1/3 c water). This recipe is allowed on the VLCD phase of the diet (also known as Phase 2 or the 500 calorie phase). This recipe equals NO servings of diet items and is allowed in unlimited amounts during the VLCD phase of the diet.